The Mark Private Collection. Live above it all in Yaletown&apos;s tallest Tower. Coming soon to Vancouver&apos;s most lauded neighbourhood. 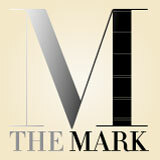 At the gateway to Vancouver&apos;s most lauded neighbourhood lies The Mark Private Collection soon to be released. Rising above and beyond all others in sight, the private residences on floors thirty-five to forty-seven of The Mark capture city, mountain and ocean views like none other. Designed with a focus on refinement and style, The Mark Private Collection caters to the most modern of demands with advanced in-home technology and a unique balance of natural and cosmopolitan convenience found only in Yaletown, a world class neighbourhood unto itself. The Mark Private Collection – Exclusively Yaletown.